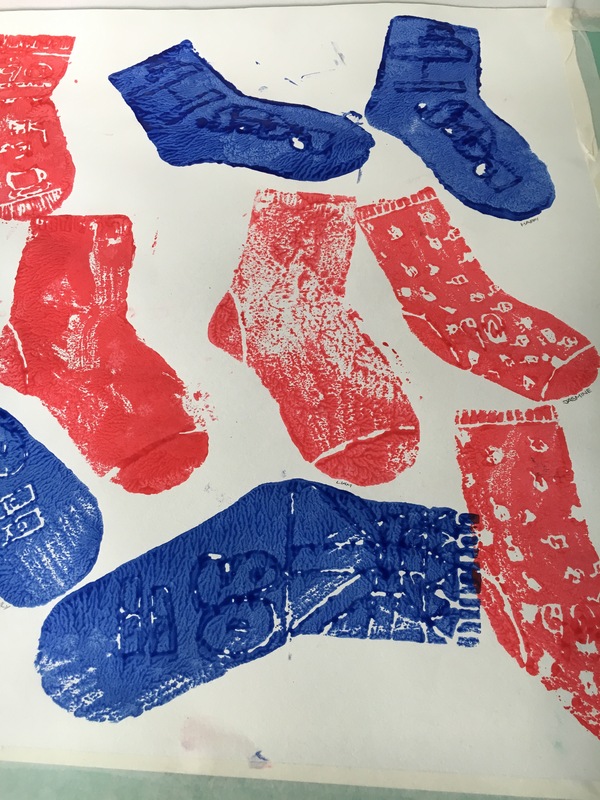 This last week saw Liz, of Busylizzie Art, in the role of Schools’ Coordinator for Go Create, Taunton working in 5 schools and delivering workshops and inspiring children to be involved in the creative process. 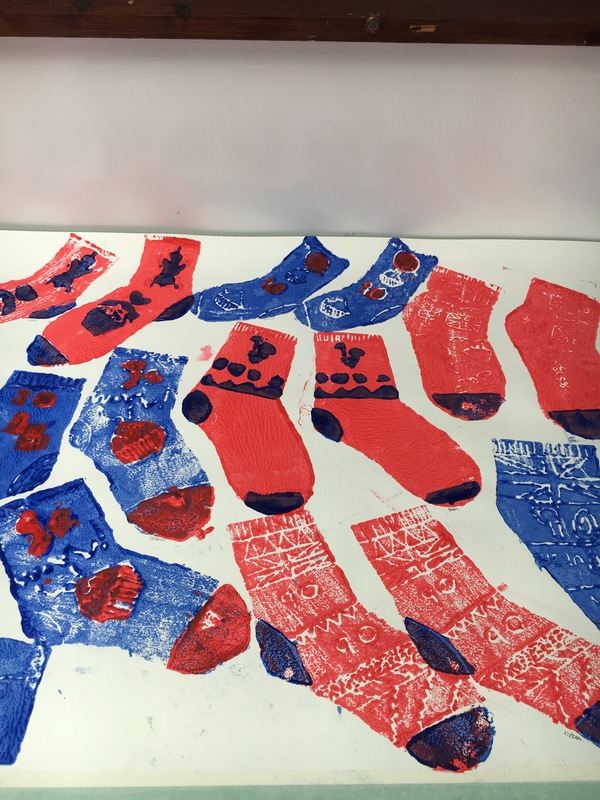 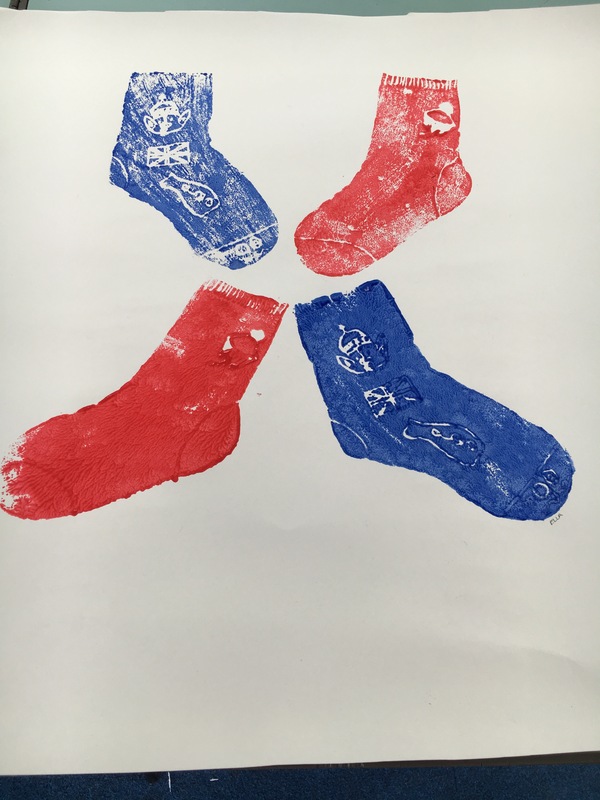 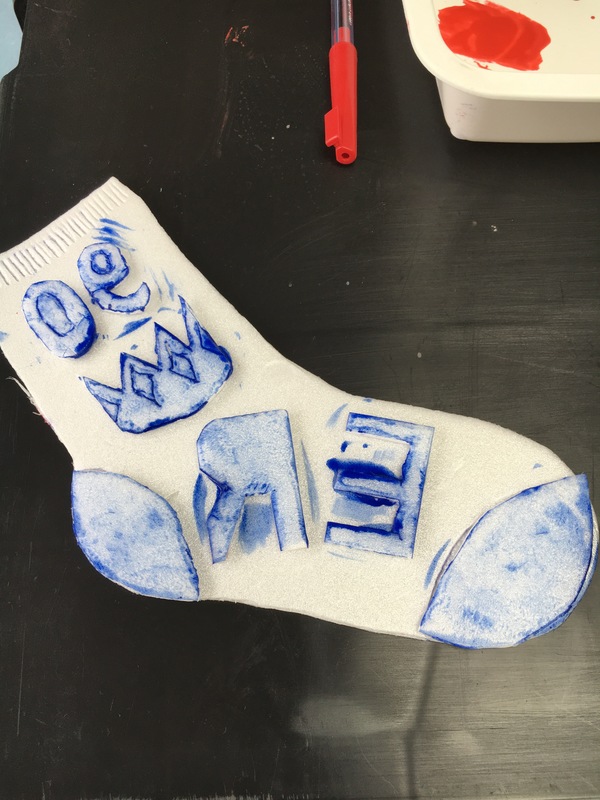 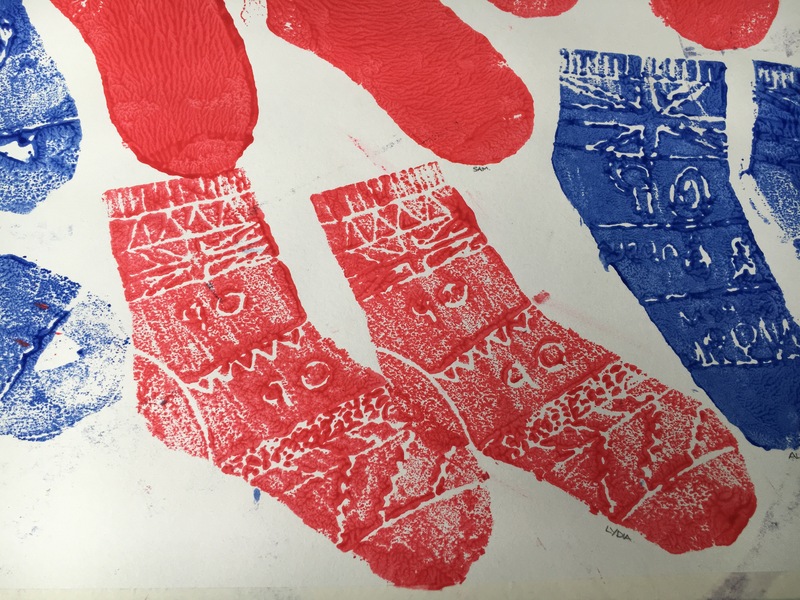 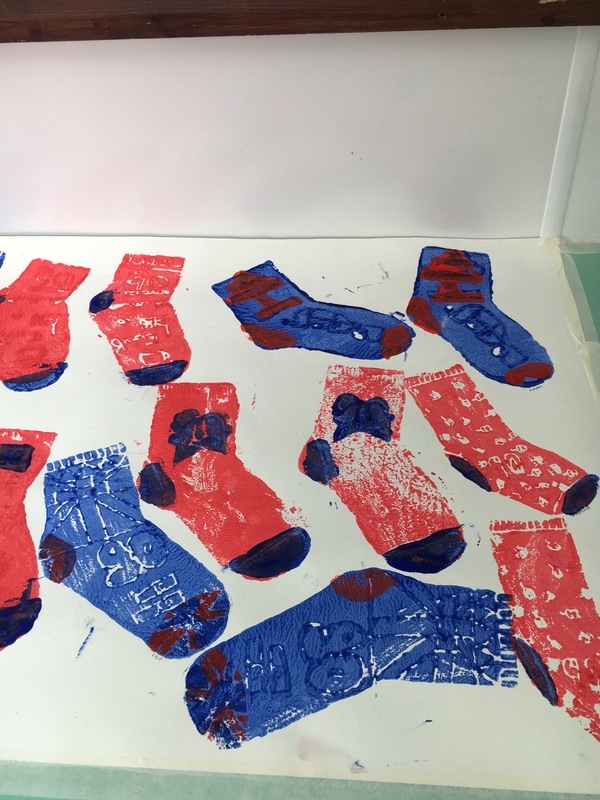 Children from foundation stage to Y6 and also at Selworthy Special School, have experienced activities ranging from colour-mixing and mark-making to printing, basic wax-resist and clay work, producing “Sock-related Art” around a variety of themes and topics…. 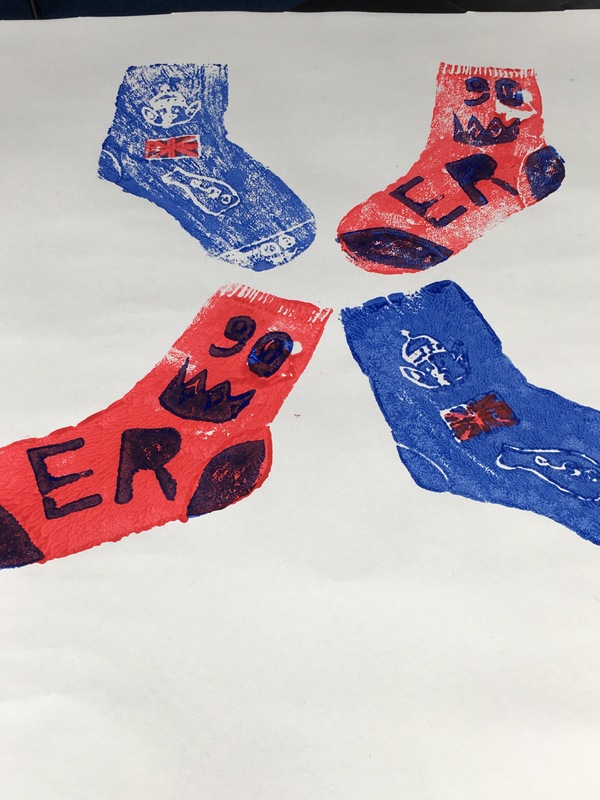 The Sock Art will be exhibited at Creative Innovations Centre, Paul Street, Taunton from 1-8th July.